Browsing Category: Cherished Girl Displaying 1-12 of 12 Found. $15.99 - $17.99 Espresso Your Heart to God, He's Listening. "Then you will call on me and come and pray to me, and I will listen to you." - Jeremiah 29:12. "Every girl is a Cherished Girl!" 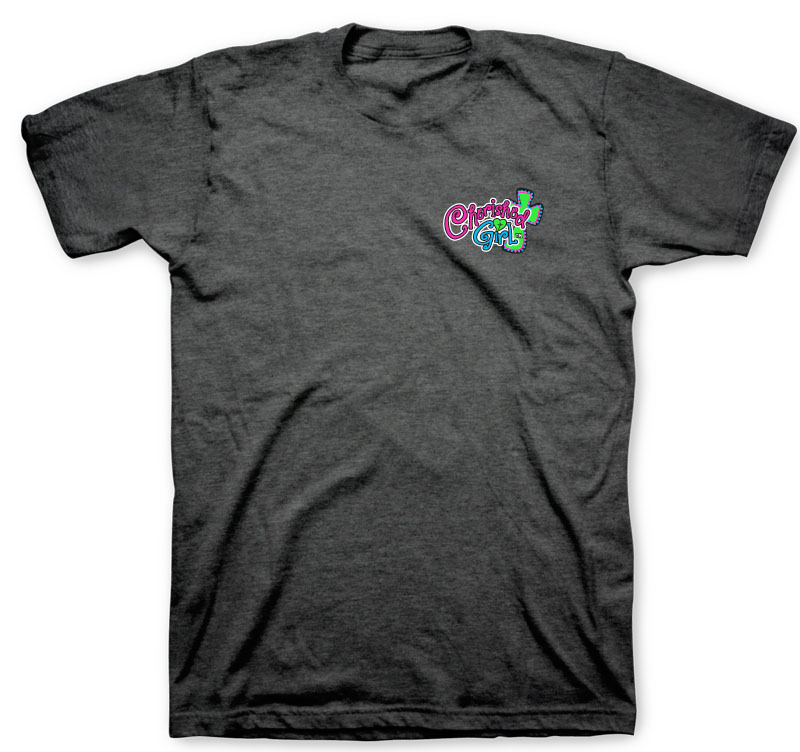 $15.99 - $17.99 Come as You Are- Flip-Flops and All . "On hearing this, Jesus said to them, 'It is not the healthy who need a doctor, but the sick. I have not come to call the righteous, but sinners.'" - Mark 2:17. "Every girl is a Cherished Girl!" $15.99 - $17.99 I've got Glitter in my Veins and Jesus in my Heart. "...Christ lives in me. The life I now live in the body, I live by faith in the Son of God, who loved me and gave himself for me." - Galatians 2:20. "Every girl is a Cherished Girl!" $15.99 - $17.99 I will run to win the prize, no matter my heel size! "Do you not know that in a race all the runners run, but only one gets the prize? Run in such a way as to get the prize..." - 1 Corinthians 9:24-25. "Every girl is a Cherished Girl!" 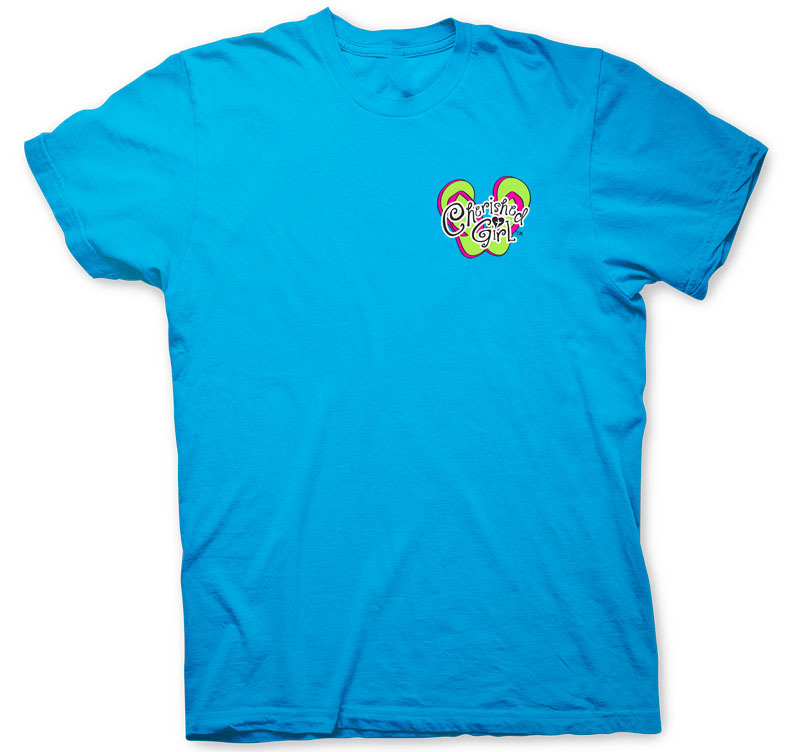 $15.99 - $17.99 I Will Praise the Lord with My Whole Heart. "Praise the Lord. I will extol the Lord with all my heart..." - Psalm 111:1. "Every girl is a Cherished Girl!" 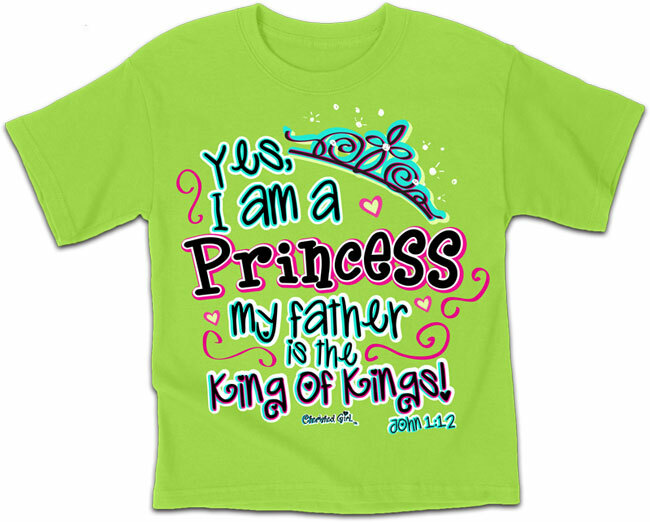 $15.99 - $17.99 Yes I am a Princess, my Father is the King of Kings. "Yet to all who did receive him, to those who believed in his name, he gave the right to become children of God" — John 1:12. "Every girl is a Cherished Girl!" $15.99 - $17.99 Rejoice in the Lord always. I will say it again: Rejoice!" - Philippians 4:4. "Every girl is a Cherished Girl! $15.99 - $17.99 Relax, no worries, it's all in God's Hands. "Give all your worries and cares to God, for He cares about you." - 1 Peter 5:7. "Every girl is a Cherished Girl!"